Read on for our top choices in both indoor and outdoor chairs. 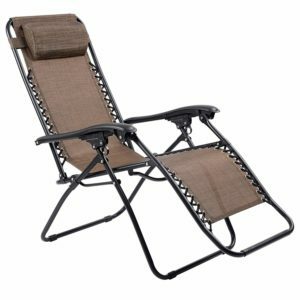 What kind of Zero Gravity Chair are you looking to buy? Be it outdoor or indoor, leather or textaline – we researched them all and picked out the best. 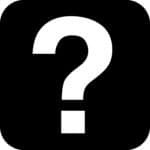 How to know if it is comfortable when buying online? Can they go fully flat? How much time is required to assemble them? How much weight does a zero gravity chair hold? What is zero gravity on a bed? Is it easy to store a zero gravity chair? This chair has a durable textaline fabric with bounce provided by a dual bungee system that can support up to 300 lbs on its strong steel frame. It has lumbar support, a cushioned head rest and a dual finger secure locking system. Reviewers say that this is a comfortable chair and they love the smooth action it takes to recline. On the down side, what you gain in price you lose a little in arm rest width. This chair has multiple attachments such as a cup holder. However you can buy these pieces separately, meaning that you don’t need to spend a whole lot of money at once to get a good value zero gravity chair. You can build it up in stages, when you have the free cash. This is a wide and supportive seat that should give you a good taste of how comfortable the experience of sitting in one of these chairs can be. This chair came out as the best overall for almost every aspect. A deliberately over-sized chair, the Timber Ridge is designed to make you feel surrounded by luxury. ….and, perhaps best of all, comes with a full year’s warranty. Customer reviews speak volumes towards the quality of this chair. With the majority of consumers enjoying this product so much that they brought it indoors; the few complaints come from those that didn’t. The wooden armrests are less durable than the rest of the chair. Still… you have a one year warranty against this happening and can get your chair replaced if it does crack. We had to hunt to find something bad about this zero gravity chair. If you want to buy the best, this is the one. When one simply won’t be enough you will be pleased to know that special deals are made for sets of two – and we found the best one. These matching, sophisticated chairs are made for the patio or lounge but are equally as at home indoors. These chairs favor mesh over other fabrics and sport removable elastic suspension that molds to the users body shape. They have fantastic tray attachments that support numerous items as well as a cup holder. They look good, have all the usual lumbar support and reclining features you would expect and each has a removable pillow. Cons of these chairs are that they are a little smaller in dimension that buying single chairs might be. Apparently you need to be careful not to trap your fingers while reclining, too. We think these are stunning chairs with nice features for the price you pay. This is a stately canopy chair that will protect you from the sun. Additionally it is lightweight, portable and folds down into nice tidy dimensions. There is a certain amount of bulk involved with other chairs that come with canopy attachments sold separately, but this chair negates that. First of all, it comes with the recognizable Best Choice Products tray/table and cup holder, allowing you to safely hold your digital products and drinks while out in the garden. Secondly, it has mesh fabric as a base with adjustable and replaceable elastic suspension. Moreover it comes with cushioning, lumbar support and a comfortable head rest. Complaints about this chair are only based on water getting into the tubing or canopy. We forgive it because this chair is foldable for a reason, and we think it is more of a take-me-to-the-beach chair than a leave-me-out-in-winter chair. This is an excellent chair for those that want the full Zero Gravity comfort but like to lounge with a sun shade over their eyes… just try not to leave it in the rain. …and supports up to 350lbs of weight whilst in position. It has great lumbar support, a removable padded pillow and a removable table – not just a tray, but a table – that can hold any and all of your drinks and items. This chair goes a long way towards perfecting your comfort while providing you with a neat little fold away table to meet your needs. It uses flexible bungee cord and a padded fabric that is designed for extra durability. When you buy the product as listed on Amazon as above you also receive a free one year warranty, which is great value for money. The only complaints we found with regards to this make and model of zero gravity chair is that it came in a little pricey for the liking of some. That being said; we feel this is a quality product that will stand the test of time without any trouble, making it good value for money in the long run. This is a suave looking chair that will brighten any room. It comes with both a tray and a cup holder, has over-sized features that support even the largest of frames with ease and has a detachable headrest for your comfort. 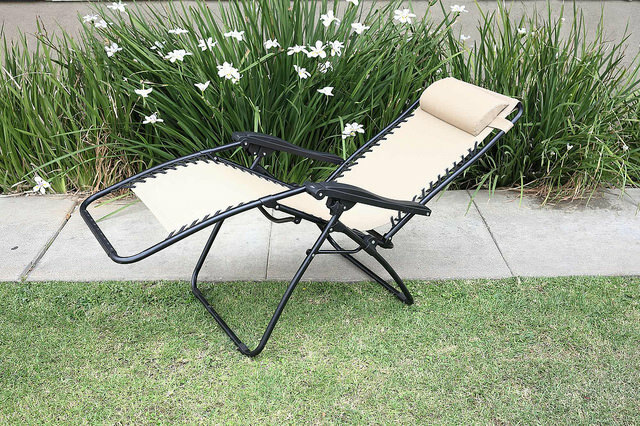 It has easy glide reclining features and an easy fold facility. The brand themselves market these chairs towards therapy offices and other professional places where relaxation is key. We like the detachable features and that it is 5 inches wider than your average chair. 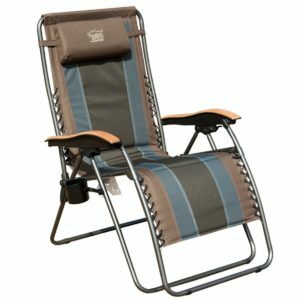 This is a big chair that does take up more space than a normal one and, although it says it is easy to carry, some customers have found it a little too bulky to easily take on a camping trip. If you are looking for an overly large and stylish chair that is designed to live on your patio or in your lounge then this is the perfect model. However if you want a foldable, light weight and easy to transport zero gravity chair it might not be a hit. This Apex Zero Gravity chair is textaline based but has some very sophisticated suede padding that can be removed for your comfort. Moreover it has several different locking positions, an anti-skid surface and straps to support you for extra safety. It features a powder coated steel frame that is robust and provides longevity, while it is one of the easier chairs to fold away and carry around. Customers love the portability and flexibility that comes with this chair. It is very versatile, great in the lounge, on the patio, in the garden or for the caravan. It covers all the bases but does not provide the cup holder or tray as standard. These need to be bought separately. Customers enjoyed the dual finger locking system but be wary of trapping your fingers. The chair gives a smooth recline but has limited positions – the only complaint we could find. We love this chair as a versatile number that will cover all your bases. 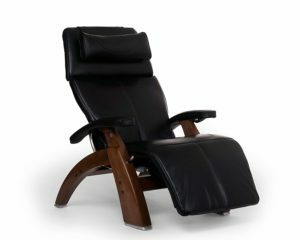 This is a high end premium leather chair that comes with all of the luxury and padding you might expect from a high end, zero gravity chair. It has patented fluid cell padding technology, includes memory foam and an inbuilt jade heat system, a high tensile strength, excess lumbar support and adjustable everything. This chair can do everything except walk your dog… it’s just that good. Of course, being so brilliant comes at a high price tag, but if you want luxury and top-of-the-range feel then you won’t get any better that the Human Touch Omni Motion. Did we mention that it rotates as well as reclines or that it is fashioned out of walnut wood? This is a show stopping piece for any indoor area that you want to add elegance to. It is a wonderful chair with a not so wonderful price… but if you have the money, we say go for it! This orbital chair uses very similar technology to what astronauts use to train with in place of a standard steel frame. This makes for a chair that is wholly responsive to your movements and allows for a sort of rocking feel as you recline. You can fully stretch out on this model, which has been specifically engineered for the perfect afternoon nap. It has rubberized arms and an acrylic, hard wearing and elasticized mesh that will conform to most shapes and adds longevity to the design. This orbital chair would look fantastic in any modern apartment, but has been made of such materials that it is easy to wipe clean and that the rain slides off it, making it perfectly acceptable garden ware too. One customer voiced the opinion that the color of the chair was not quite what she expected, and she did trade the chair back in for a different color. However, most agree that this is a super comfortable chair, and even this one complainant did admit it was comfortable. We also need to note that this is not a portable chair. We love the rocking motion this chair gives and the highly durable, inside or outdoor fabrics. If you are keen for a chair with a difference, this one will provide it – no matter where you put it. First and foremost with any purchase is always price range consideration. Are you able to pay 50, 100, or 200 bucks? Do you want a top of the range model for five hundred or do you want to go for the absolute maximum in astronaut inspired comfort? Obviously everyone wants an open price range but let’s be realistic about this… most of us live within a budget. The cost of your new Zero Gravity Chair will depend on a variety of factors. The materials vary in price, with textaline usually a little cheaper than polyester. Likewise, elastic cording is slightly cheaper than bungee cording. The durability and strength of the framing can add cost, as can removable add-on features such as headrests and trays. Generally speaking, most brands offer a basic model which gets the job done and which come with a plethora of attachments that you can buy and add at a later date. This seems to save you money at first, but in reality the adding of extras will cost more over time. Try to buy the most expensive model that you can to get the best value for money in this respect. You also need to consider bulk with these chairs. If you have bought all the separate pieces the chair becomes harder to carry camping etc. 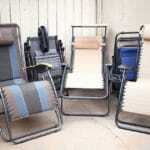 Whether you choose an outdoor or an indoor chair can also greatly effect the price. An outdoor chair generally costs less because indoor zero gravity chairs tend to focus on materials like plush leathers and rich fabrics. They also often have the massage facility built in and, as you can imagine, all of those electronic features come at a price. 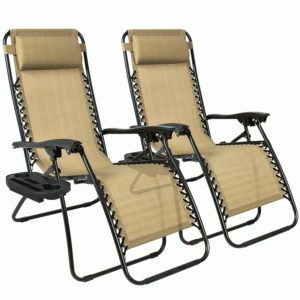 You can also save money by buying your zero gravity chairs as a matching set, which is particularly good for garden or home furniture. Say you want to buy one for yourself and your partner, many brands offer deals for a double buy to entice your custom. Take advantage of this to make further savings. There are three different areas of materials to explore: the quality overall, the strength of the frame and structure of it and the fabrics that have been used. As already hinted towards, Zero Gravity Chairs come in a variety of materials at a variety of different price ranges, so choosing your price range before you shop is often a must. Most brands will put forth a quality assurance in their products, but if you have any doubts simply look for a chair that offers a guarantee or warranty. Many of these are in the medium to upper price ranges so be prepared for that. Fabrics include bungee cord technology, polyester, textaline, leather and regular elastic cording. Some brands favor plush materials that mold to the body, others value breath-ability of fabrics and sport mesh fabrics. These chairs tend to be more beach and sunbathing focused. The frame is usually made of steel, but cheaper models will have less thought towards strength and more thought towards economy. To be sure of load go for a model that supports a lot more weight than you require. Also, be very careful of models with hollow tubing being left in the rain. Adjustability is a regular feature but tends to be less so with cheaper models. More expensive brands tend to have smooth locking systems that adjust to any height or reclining position that you like, whereas lower end models are more likely to have one, two or three locking positions for your comfort. Portability really only applies to those of you who want a chair to take camping, to slot into your caravan or who want to have nice garden furniture that you can easily stow away in bad weather. Additionally, portability includes whether or not the chair folds away, whether or not it has detachable parts, if it has a carry bag or not… It might also include other parts and add-ons that you have bought to go with your chair. Consider that each feature you add on makes it less portable. Stability comes from a combination of materials and the locking mechanism. Obviously the reclined position that these chairs are famous for has a certain amount to do with how stable the chair is, so make sure you get an adjustable model that locks into place for best results. Strong steel frames that are thick and sturdy as well as supportive elasticity despite the main material used are signs that your chair will be stable and last longer. Size refers not only to the seat height and width, but also to the width of the arm rests and any attachments (such as a sun visor or canopy) that will take up extra room. Think about where you want to place your zero gravity chair and about how you want to use it. If it is going to be stored away in a compact space for six months of the year then a bulky leather massage model for your living room is not the one for you. Most brands supply zero gravity chairs in a whole array of different colors and styles. You can get a suave and sophisticated tan and wood number that will take your lounge decoration up a notch. Furthermore you could buy a plain black, white or silver chair that favors design and functionality over style. Whichever color you want you will be able to buy it, so have a vision in your mind before you shop. Color is also of particular importance to those that want to match chairs to interior or exterior decor, so do bear it in mind while buying. 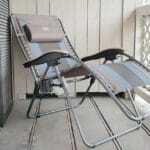 How often you intend to use your zero gravity chair is a big factor in buying the right model. A camping or a fishing chair for example, needs to fold away and be easily stored in a small space, whereas a full time, year round house kept chair will be exposed to greater wear and tear and will need stauncher materials which come at greater cost. Most, if not all, Zero Gravity Chairs have a locking mechanism to suspend you comfortably and securely in that famed astronaut position. The more secure the locking mechanism, the better the chair. Bear in mind that locking mechanisms have weight loads that they are not supposed to exceed for safety reasons and always try to choose a chair that holds more than your weight just to err on the side of caution. 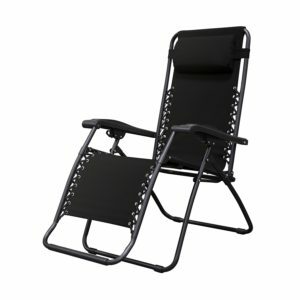 Foldable chairs are perfect for the garden, for camping and for portability reasons. Perhaps you want to take it with you when you travel? In this instance, a carry bag along with a foldable model that is lightweight is your best bet. Try to remember that light weight models have less stability and suffer somewhat in terms of durability. Some chairs have a removable headrest, some do not. The less expensive models might not have a headrest at all, in which case you will have to use a pillow of your own. If you want to start with a basic model you can add the optional extra headrest later for more cost. Remember when buying that the added extra will both cost more and affect the items portability. Zero Gravity Chairs are all about cushioning, which has to be placed at optimal points to support your extremities and your back should you often choose to use the reclining position. Cushioning around the seat area and around the head are often features since these optimize lumbar support. This is not the case with all chairs and you may find that there is only cushioning around the head with your model. Of course, when you choose your chair you want the option to recline. This is a standard feature of all chairs that has the potential to make or break a sale. Some chairs have various stages or settings for reclining, others offer a smooth recline to any position of your choice, with the latter being more prevalent in the more expensive models. Some models come with a cup holder but this is by no means a standard feature, even if it is one of the more popular ones. The cup holder has long since been standard ware for any camping seat and comes in handy for holding a myriad of objects that would otherwise be left on the floor. Like many other features,most chairs that come without this feature have an optional add-on to include a cup holder that clips on to your armrest. Much like the cup holder; the tray is a sort of optional standard feature. These are designed to hold multiple items at once and, in most cases, clip onto your armrest so they don’t get in your way. These were designed as a thoughtful nod towards our modern day love of having our technological items on us at all times and make a perfect safe spot for your phone or tablet. A canopy is an optional feature meant to protect you from the suns dangerous rays while you are outside. These delightful add-ons sometimes come as part of an original zero gravity chair design, but more often than not they are sold as separate attachments that can be clipped on to make your chair more versatile. This is the most popular choice for those looking for a chair that can live both outdoors, but still under sheltered circumstances. The patio is actually the perfect place to place your zero gravity chair as it means that you get to use it while experiencing the elements while simultaneously keeping it protected from the worst of them. No matter how sturdy the recliner; leaving it in the rain is never the best idea. 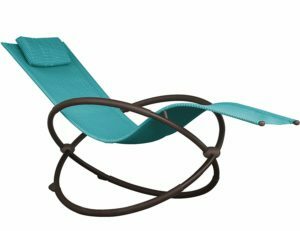 An orbital chair relies on that NASA technology to provide a sort of circular crossed base for your zero gravity chair that looks very futuristic. The point in all of this is to add responsiveness to the chair that will give a bouncing or rocking motion that has been designed to optimize comfort. They do not look like standard chairs and are best placed in modern, trendy areas such as under the gazebo or in a bachelor pad. Two person chairs are wide enough for you and your partner to both sit comfortably and recline together, should the need arise. These are generally wider and may appear similar to a sort of outdoor couch or sofa. The best models have separate reclining features but not all of them do, so be aware when buying that you may need to agree to recline when you would rather not, on occasion. Sets of two are a great purchase for those who want matching home or garden furniture that will coordinate aptly with their spaces. They also make better value for money in most instances than buying individual chairs. The danger here is that you and your partner may have different preferences to sizing and padding. Especially if you both order the same chair you might not both get the optimum result. 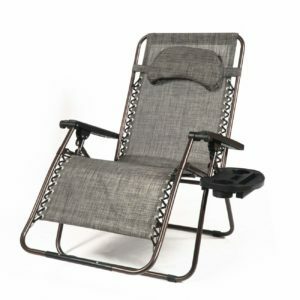 XXL zero gravity chairs do just what they say they are going to – they are extra everything! Not just size, but also arm rest width, padding, headrests and lumbar support. They take up that little bit more room and are bulky to carry. That means these are often best kept around the home or in stationary positions like on the patio. 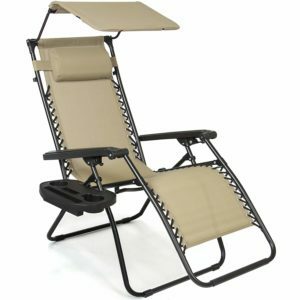 A with canopy Zero Gravity Chair will come with an attached piece of fabric that is meant to shield your eyes from the sun or allow you to relax in bad weather. Obviously, this dependends greatly on the size of the canopy. Often times they come with the portable models and can sometimes be bought as add-ons for existing chairs. It might seem fairly self explanatory, but leather chairs have a whole host of features that you won’t get with your average garden based chair. They can be heated, use only the finest of materials and often cost a lot more. Current trends sees them padded with memory foam. But because of the price of these chairs a lot of research goes into patented technologies all geared towards comfort. Massage based Zero Gravity Chairs will actively massage you as you recline, making for the ultimate experience in relaxation. These are typically found in high end office buildings or suave living rooms and are not suitable for outdoor use as they tend to require a power source to fuel all that vibration. 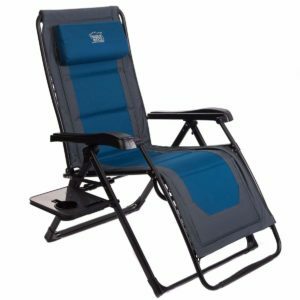 A Zero Gravity Chair uses technology inspired by NASA to suspend you in a reclined position that studies have shown maximize your capability for relaxation. They raise your feet while lowering your head, allowing you to easily achieve a calm state in which your body can rest. They are not only comfortable but fashionable too, and make the perfect addition to any lounge, patio or garden. A Zero Gravity Chair is used to help you relax. It is based on the technology NASA use when training their astronauts to give them the feeling of weightlessness. This feeling relieves all of your pressure points at once and has been shown to improve rest and relaxation, as well as having numerous other therapeutic effects. The best way to know what a chair actually feels like to sit in – is to scroll right through to the reviews. Other customers who have previously bought the product will be able to give you an accurate description of what the chair feels like. If your selected chair has thousands of five star reviews and only one or two bad reviews then you can rely on it being a quality product. Although some Zero Gravity Chairs do go fully flat this is not a standard feature of all models. The weight that you put on the adjustable locking system would simply present too much pressure for a standard chair. That being said there are some models specifically designed for that purpose that are usually aimed at use on the beach. Some leather models also go fully flat. If you are unsure you may want to check with the manufacturer before you buy. Different chairs can support different weights and, as a general rule of thumb, you should always choose a weight that will support quite a lot more than you weigh. This is simply to ensure your safety. Standard chairs tend to sit at around the 200-250lbs mark but over-sized and extra large chairs can have higher weight ranges. You can also specifically choose a Zero Gravity Chair that carries a greater weight range. Absolutely not! You wouldn’t want to put your expensive new Zero Gravity massage chair out in the rain! There are all types of chair for all types of places. Some aimed at campers, some aimed at the patio or garden. Some are for the lounge and some are so sophisticated that they could only ever truly belong in a CEO’s office. The Zero Gravity bed utilizes similar technology to what the chairs do. It raises both the feet and the head to give orthopedic support to the user. They tend to favor memory foam and other up-to-date technologies for their mattresses but the real beauty is in the design. It not only helps you rise and lower yourself, but it also suspends the legs to literally take the weight off. Some models are easy to fold, light weight and designed to be highly portable. Others are less so and are designed to remain in the same place for most of their lives. The leather, massage and orbital chairs are much less likely to be foldable and therefore are harder to store. These chairs are often centerpieces, however, and you wouldn’t want to hide them away, anyway. The Zero Gravity Chair eases the pressure that an ordinary chair just can’t get to. It raises you into the reclined position thereby increasing oxygen flow to your heart and muscles. It’s patented design allows an increase in blood circulation and it also relaxes the muscles, joints and bones by providing that feeling of weightlessness. It also eases stress and anxiety which is why therapists like to buy them for their offices. Read more about the health benefits here. You will find the greatest range of Zero Gravity Chairs if you search online marketplaces. Don’t worry, most will deliver! Amazon is one of the number one sellers, as is Ebay. However, more and more commonly we are seeing them rolled out in furniture and outdoor wares stores as they gain popularity. Nowadays you can even find a choice selection at Costco! To conclude then: think first about your price range before you go ahead and buy your chair. Remember that the more basic models don’t always represent the best value for money in terms of how much you get, and how many additional parts you are likely to need in the future. Think about where you want to place your chair to figure out which materials will suit you best and don’t forget that not all chairs are weatherproof. When it comes to shape, color, style and functionality, decide which chair is best suited to your purposes. Make sure that, should you need a portable camping chair, it is not static, nor too heavy, nor bulky with extra added items. Remember too that you can buy matching sets, should you want to coordinate a room. We hope that you have enjoyed our ultimate guide to the best in Zero Gravity Chairs and that, if you have found it helpful, you would share it for us to try and reach others who are confused about this all-important purchase. Please do contact us if you have any other queries about these wonderful chairs and we would be delighted to help you – although we think we covered everything pretty well! Most important of all is that you find the perfect chair for you with a little help from our handy guide. We hope you have a solid, stable and comfortable future together, for many years to come!